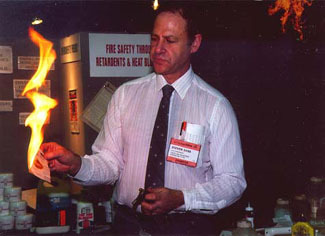 Steve Sass at a restoration show holding a piece of paper treated with NFP, doused with lighter fluid. Once the accelerant burned off, the paper and Steve were both unharmed. 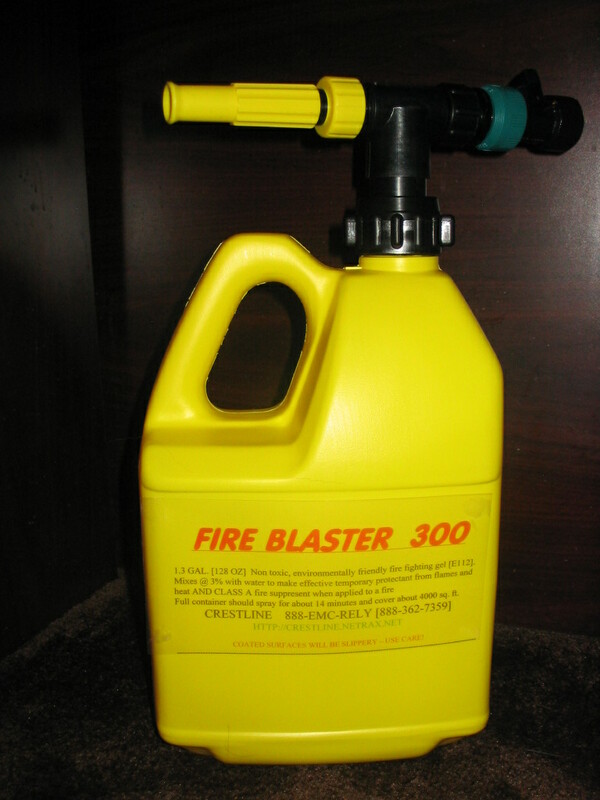 These environmentally safe products limit heat build up: thereby (1) preventing many fires, (2) slowing the spread of fire and (3) reducing the likelihood of rekindle. They include everything from protection for vents, lighting, animal flap door, fire protection, "mail slots", and valuable paintings to steel building members, lath-and-plaster ceilings and coating systems for timber. Products are available in larger and smaller containers. The listing shows the most popular size. Each year thousands of lives and billions of dollars in property are destroyed by fire. The small home of a neighbor or relative may be more significant to an individual than major calamities, but here are some significant properties. These structures were irreplaceable. The loss in material cost is small, but the loss in heritage cannot be measured. This is certainly a partial list. CALHOUN, [ JOHN C.] HOME, CLEMSON S.C.